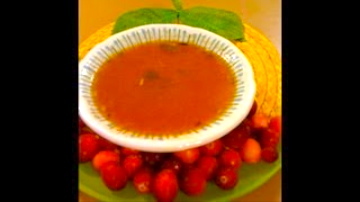 Easy cranberry rasam is very simple to make and it will be ready in just a few minutes. 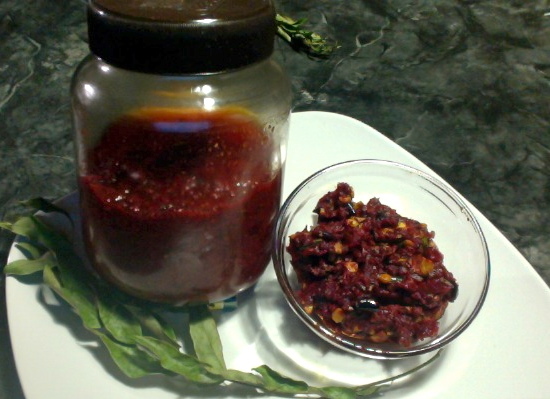 Wash and puree the cranberries in a blender. In a medium size sauce pan, heat up oil or ghee on medium flame. When the oil is hot add fenugreek seeds, mustard seeds and cumin seeds. When the mustard seeds are crackling, add red chili, hing and curry leaves. 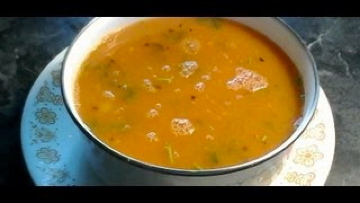 Turn down the flame to low and add rasam powder and let it fry just a few seconds. 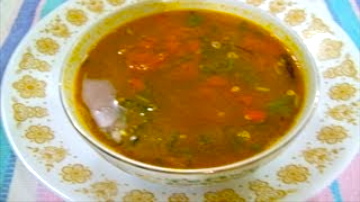 Make sure you bring down the flame otherwise the rasam powder will burn. Also make sure you have enough oil in the pan otherwise also rasam powder will burn. Add little oil if you need. 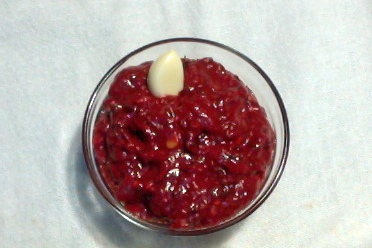 Then add pureed cranberries. Add salt, turmeric powder and jaggery. I used stevia in place of jaggery. As you all know stevia is a natural sugar substitute. Add 4-5 cups or enough water and let it boil. Keep it on medium for 5 minutes and then bring it down to low for 10 more minutes. Turn off the stove and add cilantro. Also add half a tsp of ghee (optional) on the top for extra flavor. 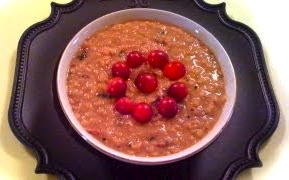 Enjoy easy cranberry rasam with rice or just as a hot soup.